This idea deserves a full essay, but for now, con­sid­er: In the same way that Apple took Mac OS X and Cocoa and shrunk them to serve as a hand­held device OS, I think Google could take Android and grow it to serve as a PC OS. Wine would be to Android what Clas­sic was to Mac OS X. The big win is say­ing “screw you” to KDE and Gnome and all those crap Lin­ux inter­faces and APIs. Start over with some­thing new, cohe­sive, bet­ter, and, most of all, which is not, con­cep­tu­al­ly, a watered down clone of Win­dows. I’m real­ly not sure where Gru­ber is going with this. Google seems to like Wine for var­i­ous rea­sons (main­ly Picasa), but I don’t real­ly under­stand how it could vault Android into desk­top fame. It seems Wine is a “watered down clone” of Win­dows (its inter­nals, any­way) and I don’t real­ly see much future in it. Obvi­ous­ly Gru­ber and I dis­agree on the var­i­ous suc­cess­es of the “open-source desk­top” mis­sion, but I don’t think Wine is the way to suc­cess. John, I await your full essay; per­haps I mis­un­der­stand? The device won’t have an impres­sive design and it won’t be as easy to use as an iPhone, but it will cer­tain­ly be able to run a lot of inter­est­ing appli­ca­tions. Android’s first iter­a­tion, released last week, is cer­tain­ly less of a water­shed than Apple’s iPhone debut, but then again Google has been very open about their project. While Apple has built a rep­u­ta­tion on care­ful­ly con­struct­ed excite­ment about the unveil­ing of their new projects, Google was very upfront about Android and the Open Hand­set Alliance—to the point of attract­ing doubts of the project’s fruition. You can read the reviews of T-Mobile’s/HTC’s G1 else­where; after a week there are plen­ty of good ones (and I haven’t held one myself). But here are a few of my ini­tial impres­sions of Google’s Android project itself. 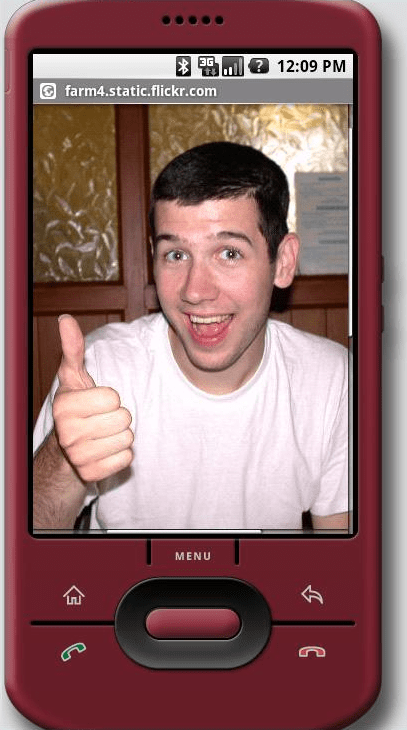 I saw the Android com­ing five years ago… and approved. It will be inter­est­ing to see how the Appli­ca­tions fare; Apple has proved that there is a busi­ness here, and they have a jump start on their App Store. While Apple has attract­ed a lot of devel­op­ers, they have their own prob­lems keep­ing their trust at the moment, and cer­tain­ly for myself I’m more moti­vat­ed to write for a mul­ti-process, open-source oper­at­ing sys­tem where my appli­ca­tion will def­i­nite­ly be avail­able for users. I’m encour­aged that there have already been some inter­est­ing appli­ca­tions rolling out. The Android is cer­tain­ly the biggest com­peti­tor to the iPhone thus far, but it’s cer­tain­ly not just try­ing to imi­tate the super­fi­cial qual­i­ties (like, say, the LG Dare); it seems to have slight­ly dif­fer­ent moti­va­tions that have shaped the project thus far. Either way, com­pe­ti­tion is a good thing. It seems like­ly that AT&T will be pro­duc­ing Android phones but even if so, the ques­tion is when. I’m immi­nent­ly look­ing for a new phone, so the soon­er the bet­ter; I have no plans to switch to T-Mobile and I would real­ly appre­ci­ate the abil­i­ty to give each one of these plat­forms an even chance. To me, this is a very com­pelling Android fea­ture: log in and every­thing syn­chro­nizes. Photo websites: That settles it! Google Pho­tos Blog: Announc­ing Picasa 3.0 and a new ver­sion of Picasa Web Albums! With Picasa’s announce­ment of the updat­ed Web Albums site, I’ve set­tled on it for my own pho­tog­ra­phy needs. Their “name tags” fea­ture is incred­i­bly well-done, I can arbi­trar­i­ly tag my pho­tos addi­tion­al­ly, and they’ve added oth­er com­pelling fea­tures that have sold me on it. Pre­vi­ous­ly, I had been using Flickr. By the time I joined, it seemed to be the pre­mier com­mu­ni­ty for pho­tog­ra­phers, and it offered the most fea­tures I want­ed: licens­ing pho­tos, tag­ging, flex­i­ble man­age­ment of albums/sets, RSS feeds for near­ly every­thing, and super-cool mash-ups with oth­er sites. Sep­a­rate­ly, a lot of peo­ple have been using Face­book for pho­tos (at least those of peo­ple-based events and such), name­ly because their per­son tag­ging is very good: box­es around faces and noti­fi­ca­tions of tagged pho­tos. (Flickr has tag­ging, and you can sep­a­rate­ly add boxed notes to pho­tos, but it has no way to con­nect that direct­ly with peo­ple.) While not a pho­tog­ra­phy web­site per se, it is cer­tain­ly a great way to share pho­tos eas­i­ly. Picasa Web Albums has been a nice project, and I had used it occa­sion­al­ly, but not very often. The inter­face hasn’t been the best, it felt very closed off from any sort of com­mu­ni­ty, and it seemed to be wed­ded to the appli­ca­tion Picasa (which has a pret­ty shod­dy track record on Lin­ux). I can (and do) man­age my pho­tos quite well via F-Spot, but there was a lot I couldn’t do with­out Picasa (the appli­ca­tion). But in one fell swoop, they’ve knocked down the com­pe­ti­tion. The name tags fea­ture is so nice, it’s actu­al­ly fun to use; in about an hour I tagged about 700 pho­tos with my exist­ing Gmail con­tacts. I’ve also tagged my pho­tos with some oth­er key­words, in case you real­ly want to see what pho­tos of roller coast­ers I’ve tak­en. Last­ly, I can release my pho­tos with Cre­ative Com­mons licens­es, so neat things can hap­pen. The sum of these fea­tures is what dri­ves Picasa’s new Explore page. You can see pop­u­lar tags, loca­tions, and fea­tured pho­tos. There’s even a (mediocre) game where you guess the loca­tions of pho­tos. All in all, Google has a good prod­uct and it breeds good com­pe­ti­tion in the pho­to web­site space. You can see my pho­tos on my Picasa pro­file. So I’ve been repeat­ed­ly impressed with Google late­ly. I mean, many peo­ple know that “to google” has been a verb for a while, since it’s kind of the de fac­to way to search the Inter­net. But also, I’ve been using their email ser­vice, which is real­ly awe­some in all respects. Turns out Blog­ger (what you’re see­ing now) is run by Google, and it’s good too. Then there are a hand­ful of ways that Google has been sup­port­ing open-source soft­ware and projects: their Sum­mer of Code, their APIs, and the fact that they give their devel­op­ers one day off per week to work on a project of their own choos­ing. Very cool. I read in a tech mag­a­zine that Microsoft’s big com­peti­tor at the moment is Google. (Of course, that makes MS very uncom­fort­able.) Well, stick it to ’em, Google! will show the artist in bold text and the title in small text on a new line. Only prob­lem is that GTK+ has a long­stand­ing bug with wrap­ping labels, so a long for­mat won’t wrap to mul­ti­ple lines. Next up: option­al tags, so if you have “date” in the for­mat and it’s not in the file, it won’t show up (nor will the space you put before it to sep­a­rate it from the title).